Welcome to the back-to-school issue of the Safe Glass for Schools newsletter. 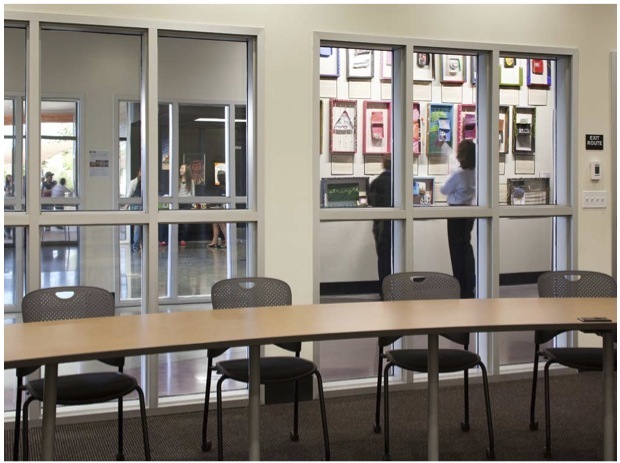 We've revamped the format, and we remain committed to providing up-to-date content on school building trends, codes and innovations in the use of fire rated glass. Go to Safe Glass for Schools to review past articles and newsletters. In this issue, we share the findings of a groundbreaking report called "The Greenest Building," which quantifies for the first time the environmental advantages of reuse compared to building new, and then go into ways that using fire rated glass and framing systems as a building material may help in LEED certification. The LEED Green Building Rating System is the nationally accepted benchmark for the design and construction of high performance green buildings -- new or reused. SAFTIFIRST's fire rated glass and framing products can contribute to a number of LEED 2009 credits. Click here to learn how. Click here to download a list of information about SAFTIFIRST's fire rated glazing and framing systems related to LEED certification. Facts include material origin, visible light transmission, STC ratings and NFRC certifcations. SAFTIFIRST offers free 1-hour interactive webinars with a code expert. Participants earn an AIA LU/HSW credit. Please email Diana to schedule a training session. An estimated 40% of the nation's 100,000 public schools are in bad-to-poor condition, as reported by "Parade Magazine" in August 2012. 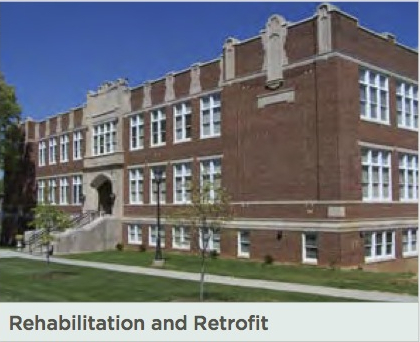 A groundbreaking report entitled "The Greenest Building: Quantifying the Enviornmental Value of Building Reuse" finds that reusing existing buildings brings climate change, resource depletion, human health and ecosystem quality benefits compared to new construction.